Some popular herbal supplements sold at chain retailers don’t contain the herb they tout and contain other substances not labeled, according to DNA testing commissioned by New York State’s attorney general. A.G. Eric Schneiderman has sent “cease & desist” letters to four major retailers – GNC, Target, Walmart and Walgreens – ordering them to stop selling certain popular products, including Echinacea, Ginseng, St. John’s Wort, and others until they could “provide detailed information relating to the production, processing and testing of herbal supplements sold at their stores, as well as set forth a thorough explanation of quality control measures in place,” a statement said. The “cease & desist” letters come as DNA barcode testing allegedly shows five out of six products tested did not contain the herb on their label, and that many contained cheap filler, like powdered rice, beans and houseplants, not listed. Some products even showed powered legumes, a plants class that includes peanuts and soybeans, which could harm people with allergies. The retailer with the poorest showing was Walmart; only 4% of the Walmart products tested showed DNA from the plants listed on the products’ labels, according to Schneiderman’s office. 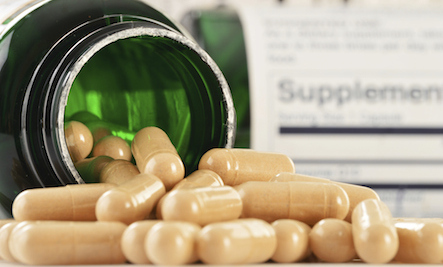 On the heels of the order to stop selling the questionable supplements, herbal trade groups criticized the AG’s testing data and methods. This all leaves consumers wondering what, if anything, they can do to make sure the supplements they buy are high quality. What scientific research does the firm have to substantiate the claims made for the product? Does the firm have information about tests it has conducted on the safety or efficacy of the ingredients in the product? A few groups exist that offer seals of approval that assure that the supplements were properly manufactured, contain ingredients listed on the label and do not contain harmful levels of contaminants. Here are a list of some certifying groups. It's a shame you can't trust companies to do the right thing. Caveat emptor is not good enough. We need to be able to know if we are wasting money (at best) and ingesting harmful substances (at worst). I want to know if I am wasting my money or improving my health. Buyer beware, is not a good business model. People use these suppliments because they are busy working, raising kids, being homemakers, all kinds of reasons. And high quality suppliments are great in a low quality, soil depleted, fast and, over processed food world.Fake suppliments are a waste. To those who want to lump them all together and proclaim them all useless, I'd say the same about your opinion. We have every right to expect and insist that what we buy is what they say it is, and if private business won't police its self, then the government needs to. We, The People, have all our own work to do and we can't be experts about herbs and vitamins too, tho some of us actually are. Its a damned shame that I cant trust anyone anymore!!! Thank you so much for this article. It helps a lot!! !